Daldeep Jaswal, Partner and Head of Commercial Property at Buss Murton Law has been elected President of the Tunbridge Wells, Tonbridge and District Law Society. The Society which is made up of local legal professionals aims to strengthen relationships between its members and to discuss issues affecting the profession as well as responding to Government consultations and lobbies other legal organisations including the Solicitors Regulatory Authority and the Law Society of England and Wales. Daldeep joined Buss Murton seventeen years ago as a trainee. He set up Buss Murton’s first standalone commercial property department and was appointed Partner in 2008. 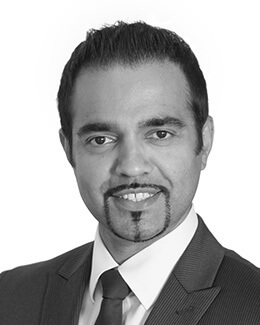 Daldeep is now the Partner in charge of the Property Department across its four offices, the firm’s Senior Responsible Officer for its Conveyancing Quality Scheme accreditation and he is also the Training Supervisor for the firm’s Trainee Solicitors. Daldeep specialises in advising commercial clients on their property needs, in particular, landlords, tenants, developers and financiers.